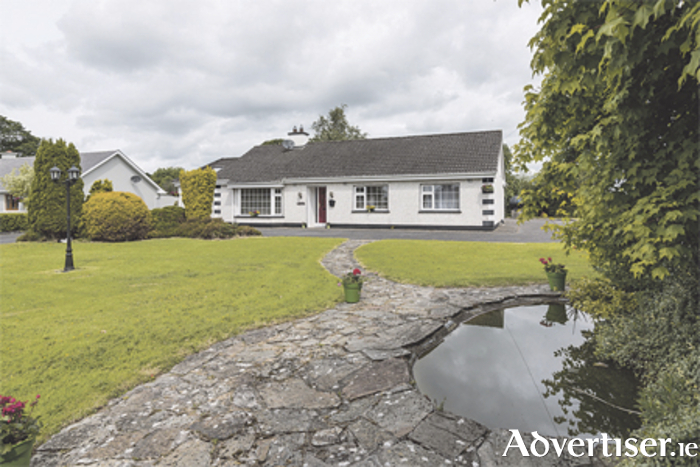 Beautifully presented and in a much sought-after location on the outskirts of Moate town, this home in Tubber, County Offaly, offers easy access to all amenities, services, and the M6 motorway. Constructed in 1995, this home has been extended and modernised to another level, and now boasts a conservatory and larger bedrooms. The interior of the property boasts four bedrooms, two reception rooms, two bathrooms, a conservatory, central heating, and attractive decor. The exterior offers well-kept gardens, a patio area, garage, and ample room for private parking. The home is approximately 162.3 square metres with a BER C3 energy rating. Viewing of this home is highly recommended in order to appreciate all it has to offer.